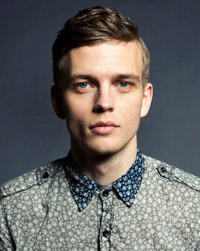 Benjamin Eidem was born in Sweden, on December 17, 1988, is a Swedish male model. Eidem was discovered at the age of eighteen in Miami, Florida, outside a restaurant by model scout from Modellink. Benjamin's hobbies are sailing and editing pictures. Friend with model Karmen Pedaru. Vogue Hommes, Pull & Bear, Made in Sweden for King Magazine, The Greatest Cover, GQ China, ODDA Magazine, Details, Les Echos, V Man, Man About Town, Hercules, GQ Style Italy, GQ Style Germany, Café Magazine Sweden, Rolling Stone Italia, 10 Men, Citizen K International, Vogue Hommes Japan, Plaza Magazine, i-D Magazine Covers. Michael Kors, Express Holiday, Zara, Gap, J Lindeberg, Lanvin, Aspesi, Emporio Armani, IRO, H&M, Belstaff, Hugo Boss, Tommy Hilfiger, Paige Denim, Coach Holiday, Aldo Shoes, Burberry Japan, Adidas, John Galliano, Just Cavalli. Walked runway for Michael Kors, Jimmy Choo, Brioni, Valentino, Ports 1961, Philipp Plein, Gucci, Bottega Veneta, Corneliani, Dsquared2, Trussardi, Prada, Rag & Bone, Custo Barcelona, Iceberg, Siki Im, Wooyoungmi, John Galliano, Louis Vuitton, 3.1 Phillip Lim, Burberry Prorsum. Represented by agencies Request Model Management NY New York, Nathalie Models Paris, Elite Milan and Elite London. So many different people told me to try it out so many times, I just decided to go for it. I had a lot of different jobs, but right before I started modeling I was working in an electronics store and I was also shooting pictures at nightclubs for different websites. My favorite is anytime I get to shoot outdoors in a city, just going around and seeing things while I'm working.